The submission fee is $200 per entry. You must be a NeoCon exhibitor to enter a product to the HiP Awards. Products must be manufactured or set to go into production between January 2019 and December 2019. Products submissions that have been previously published and/or have been part of other competitions will be accepted. You can enter leading designers or industry leaders from across the globe. If you are nominating a person for a manufacturer-related category, the manufacturer must be a NeoCon exhibitor. what categories are available this year? The 2019 list of categories can be found here. A product or person may be submitted to multiple categories, but only one category is permitted per entry. If you wish to submit the same entry to multiple categories, you may use the checkbox on the bottom of the last page of the entry form to duplicate your entry. Click "Add to Cart" and choose additional categories. is there a limit to how many entries i can submit? No, there is no limit to the number of entries you may submit. Each entry can be submitted to one category at a time. If you would like to submit the same entry to additional categories, you will have the option to duplicate your entry at the end of the form. If you would like to duplicate an entry that has already been submitted, you can go to your completed entries under "My Account" and click "copy". can i start my entry then return to it later? Yes, you may begin your entry, save, and revisit it at any time. To access your in-progress entries, go to the "my account" link on the top righthand side of the page. You will find a menu on the left with "My Entries". can i duplicate an entry? Yes. If you would like to copy over information from one entry to a new entry you may use the checkbox on the last page of the entry form. You may then make changes to the entry copy or enter the same submission to additional categories. can i edit or change my entry once it has been submitted? You can always log into your account and create, edit, save and delete any entries that have not been submitted. 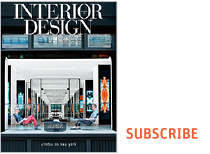 If you need to make a vital change to a submitted entry, please email awards@interiordesign.net. All entries will be judged by an Interior Design editorial panel. You will receive an email if your product or person is chosen as a finalist by end of day on June 7. This email will be sent to the contact email address used on the entry form. Winners will be announced live at the awards ceremony on June 9, 2019. Winners and honorees will be announced live at the awards ceremony at NeoCon on Sunday, June 9, 2019. You will also receive an email after the event letting you know if you are a HiP winner or honoree. Winners and honorees also receive an official HiP seal to be used for marketing materials. Winners will be featured in an online gallery on interiordesign.net and promoted to Interior Design's digital audience of 7+ million. Winners will also receive the coveted HiP Award. Winners and honorees will receive creative assets for use on digital and print marketing materials and will qualify for exclusive advertising opportunities with Interior Design. The 2019 HiP Awards ceremony will take place at the Merchandise Mart in Chicago. All HiP Finalists will receive 2 complimentary tickets to the Awards at NeoCon. Additional ticket and event information will be posted on this site prior to the event. how can i sponsor the hip awards? If you are interested in becoming a sponsor of the HiP Awards, please contact your regional director, 917.934.2882 or idsales@interiordesign.net.